MIDDLETOWN, NY--(Marketwire - Nov 1, 2012) - Cornerstone Environmental Group, LLC announced that industry veteran Randall W. Russell, PE, has joined Cornerstone and will be expanding the company's solid waste, water, and wastewater services in the Southeast. Building upon nearly 30 years of success working closely with municipalities and major private solid waste firms, Mr. Russell will work with Cornerstone's clients on permitting, operations, construction monitoring and remediation of solid waste and coal ash disposal facilities. He will also use his experience to expand the company's civil design services nationwide. Mr. Russell is an accomplished engineer, registered in 12 states, including Florida, Georgia, Indiana, Kentucky, Louisiana, North Carolina, South Carolina, Tennessee and West Virginia. 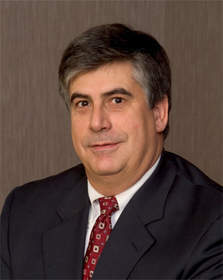 He previously served as president of civil and environmental engineering firm Kenvirons, Inc. for 28 years, where he supervised permitting, operations, construction monitoring, and remediation projects at solid waste disposal facilities, as well as designed storm and sanitary sewers and water distribution systems. Mr. Russell is an active member of engineering professional organizations, and serves as chairman of the State of Kentucky Board of Licensure for Professional Engineers and Land Surveyors. He also serves on National Council of Examiners for Engineers and Surveyors (NCEES) exam development committees. He is a member of NSWMA, and is currently serving as Board of Governors Representative for Kentucky. "We are proud to add Mr. Russell to the Cornerstone team," said Richard A. Peluso, PE, president of Cornerstone. "His successful project management expertise, professional relationships, and commitment to the engineering profession make him a valuable addition as Cornerstone expands its services in the southeast United States." Cornerstone Environmental Group, LLC is an engineering, environmental consulting, and field services firm dedicated to providing services to the solid waste industry and commercial and industrial clients. With about 130 employees located in 12 offices across the United States, the company is headquartered in Middletown, NY. Additional information on Cornerstone is available at www.cornerstoneeg.com or by contacting Cathie Swyka at 845-695-0207 or via email at cathie.swyka@cornerstoneeg.com.